The undisputed world champion of Mercury drag racing. 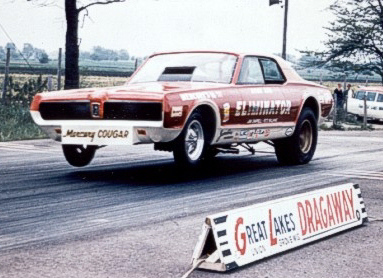 Dyno Don with his 68 Cougar "Eliminator", the car and nickname that inspired Mercury to build Eliminators as a factory performance option. Question: In 1961 and 1962, Dyno Don won the Winternationals in Pomona Calif. driving a factory-backed Chevy 409. Did these victories inspire the Beach Boys hit record "409"? Methinks so. A classic A/FX match up between Dyno Don's 1965 Mercury Comet and the Stark-Hickey Ford Mustang. The radically altered wheelbases of the Dodge A/FX cars made them look "funny." 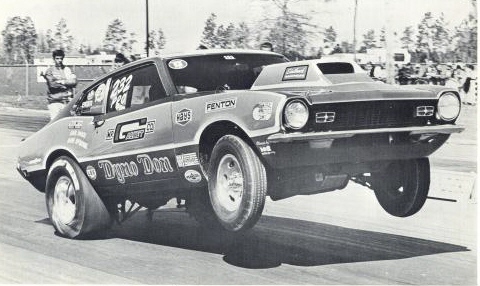 Soon, everyone was altering their wheelbases and fans were calling them "funny cars." 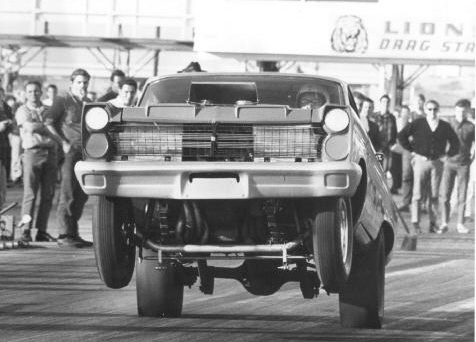 Don's pro stock Mercury Comet bending the slicks. Dyno Don's 1965 A/FX Mercury Comet. Peering over the hood of his 1967 Mercury Cyclone at Lions. 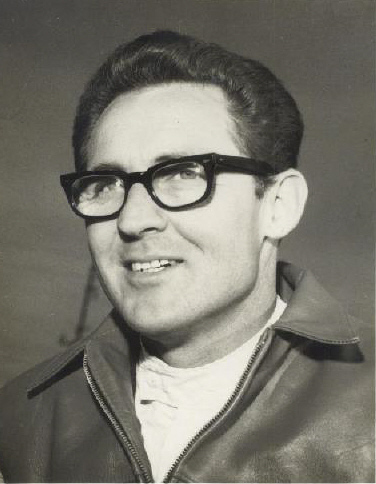 Stylish, cool and dangerous, Dyno Don was the James Bond of the race track. Well, he was to me anyway. 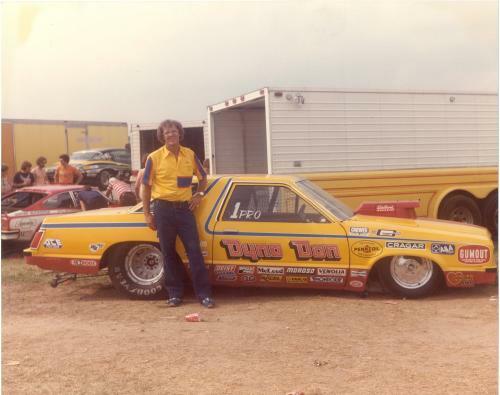 Don with his Ford Fairmont pro stock car. Not as interesting as a Pinto but, what the heck, any port in a storm. 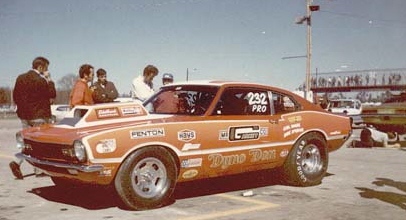 The pro stock Mercury Comet. 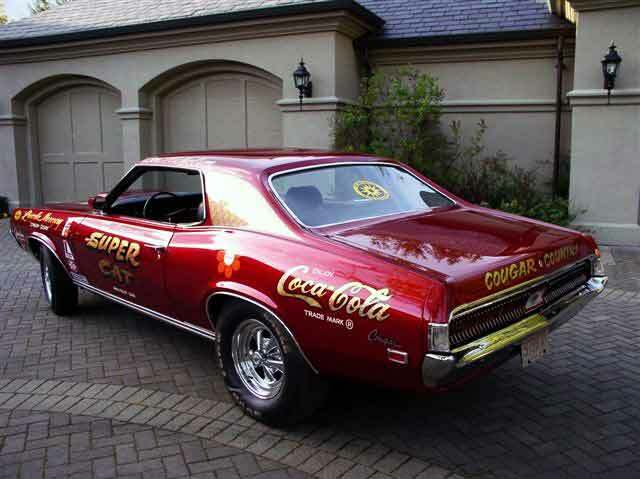 The Car Craft magazine Coca Cola "Thirst Eliminator." I can't imagine a cooler paint job.